When fires ravaged the Heidelberg Project last year, the nonprofit that runs the two-block outdoor art exhibit raised $50,000 to increase security. The Heidelberg Project is raising money again because the new security system “was a huge drain on staff as well as our finances,” Katie Hearn, marketing manager, said in the fundraiser video. The solar-panel security system with cameras was installed earlier this year, and the nonprofit quickly stopped using a security guard because of the cost. The nonprofit’s handling of the fundraiser incensed some donors. The Clock House burned down last year. 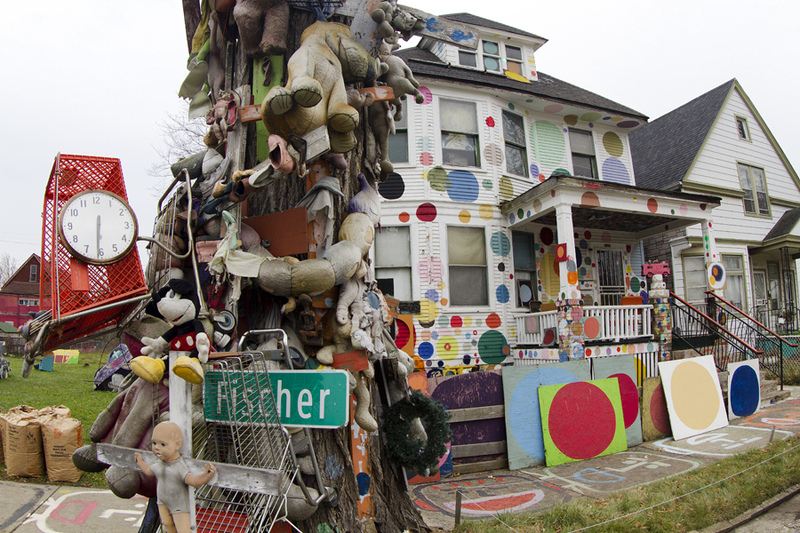 Tax records show that the Heidelberg Project drained its savings in 2012, when the nonprofit hired an additional three employees even after losing more than half of its annual funding in one year. It’s unclear what the uphill battle is. 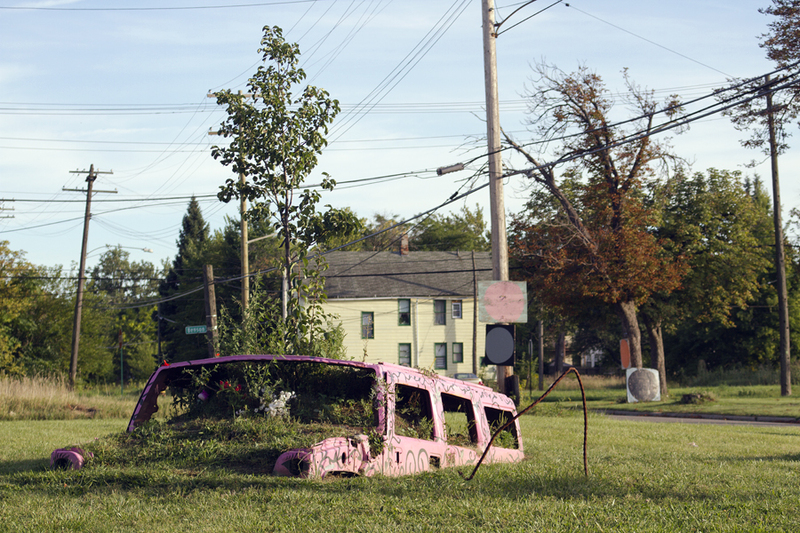 The Heidelberg Project didn’t respond to questions for this story. Property records show that the nonprofit owns just four properties inside the project area, and all of those are empty lots. Since 2007, Wayne County seized eight of the nonprofit’s properties in a tax foreclosure. All of the art-festooned houses are owned by the city or someone who had abandoned properties. Three properties in the project area, including the iconic Number House, are up for auction because of delinquent taxes. 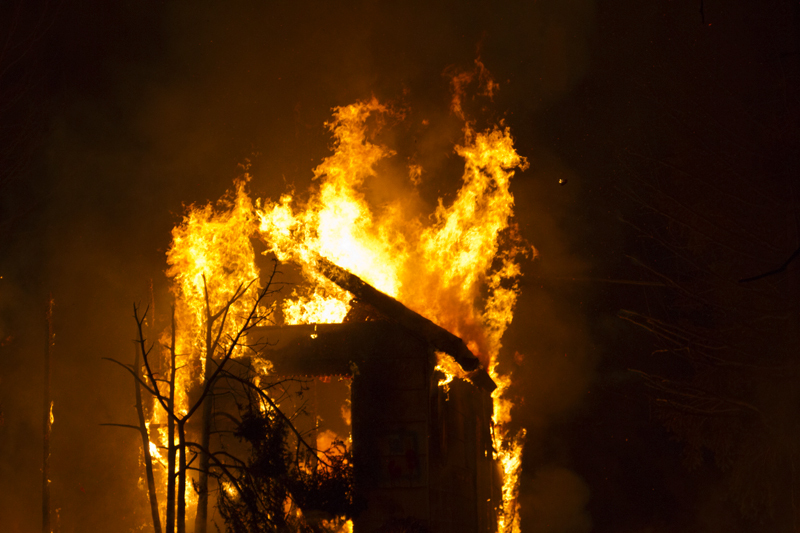 Widely publicized fires last year destroyed the “House of Soul,” “War House,” “Penny House,” “Obstruction of Justice House” and “Clock House.” In March, someone burned down the signature Party Animal House. The fires are under investigation by the ATF and Detroit Fire Department. How much money could it cost to staple trash and junk to an abandoned house? I’ve got a suggestion: BUY THE F**KING PROPERTIES IN YOUR PROJECT AREA AND PAY THE TAXES. Time to cut costs,perhaps lay off a couple of employees.